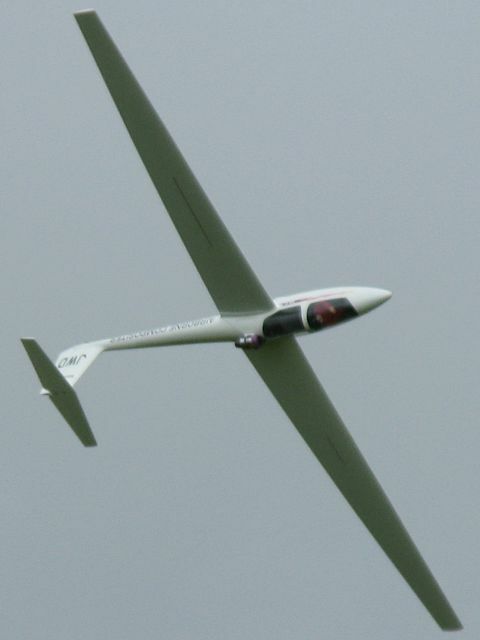 Click here to return to the Gliding 2008 Pictures page. 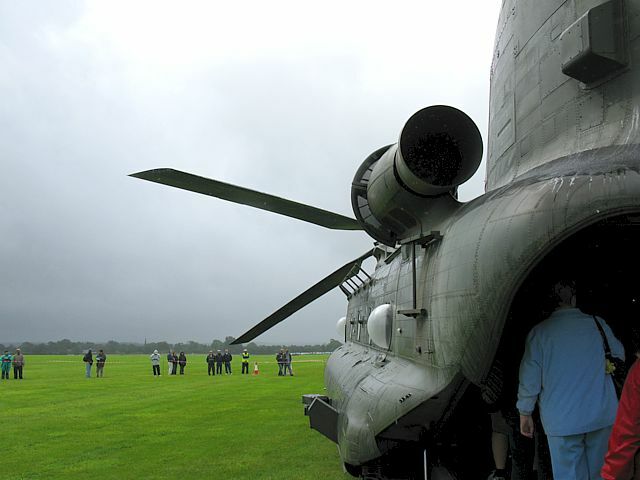 Here are a selection of pictures I took during the public day at Lasham. 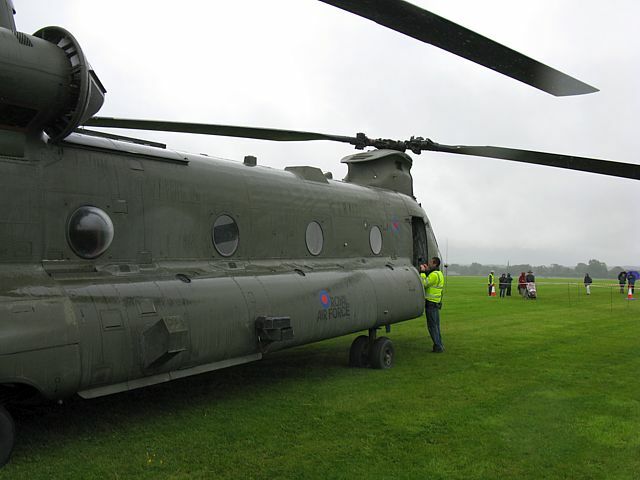 The highlight for me admittedly was the unexpected opportunity to see a Chinook closeup, even getting into the cockpit. 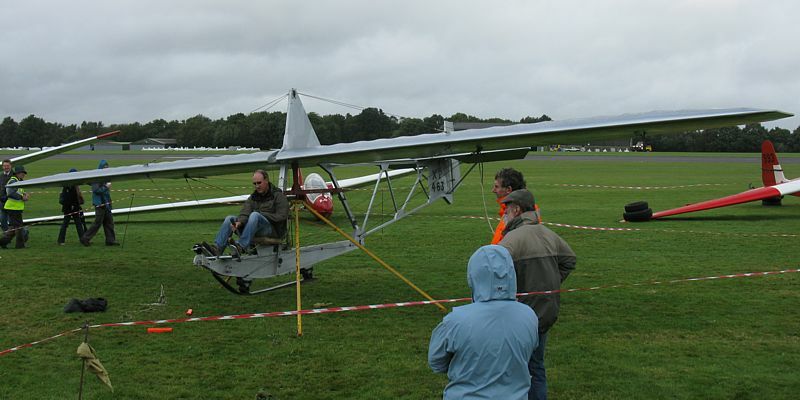 The main pain was without doubt the weather, which left me rather cold and damp. 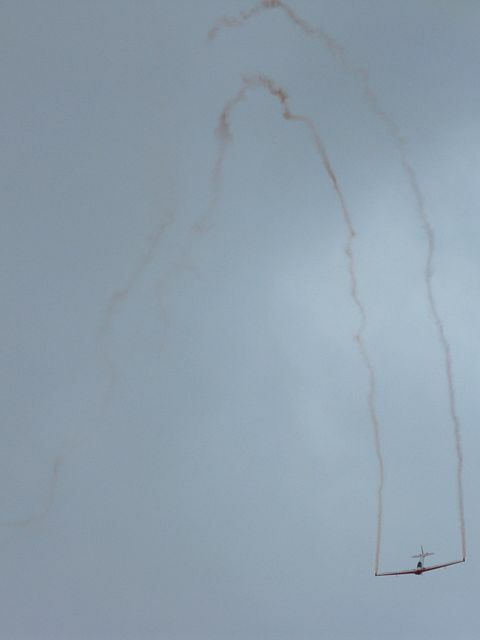 It also caused a parachute display to be cancelled and limited the aerial displays. 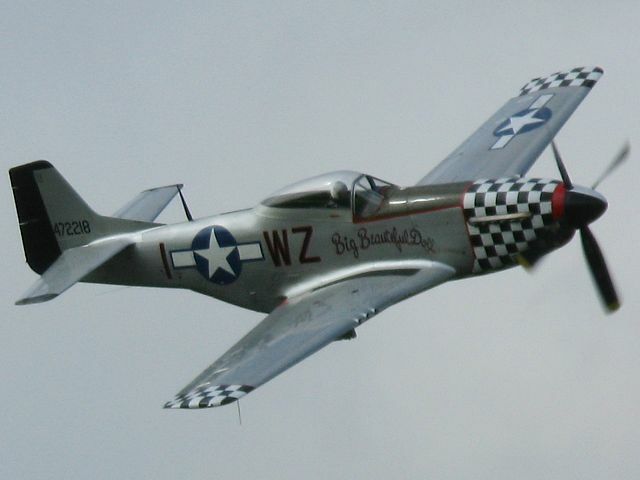 But what survived was a good fun display that was still well worth going to. 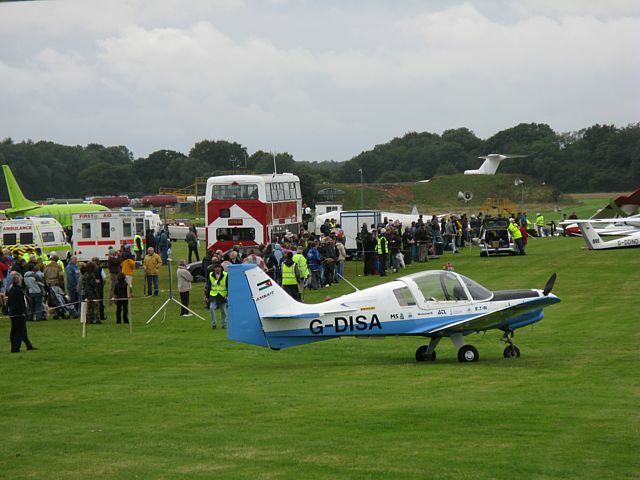 So well done Lasham for maintaining a positive face and still achieving a good fun day out for the public (unlike other locations that got cancelled) despite the weather. Oh, and those cookies at the main food stand were delicious! These pictures are in chronological order, and taken between when I arrived soon after 10AM, and left around 5pm to take my guests home. Frequent showers made photography challenging at times, and I got a wet camera more than once. 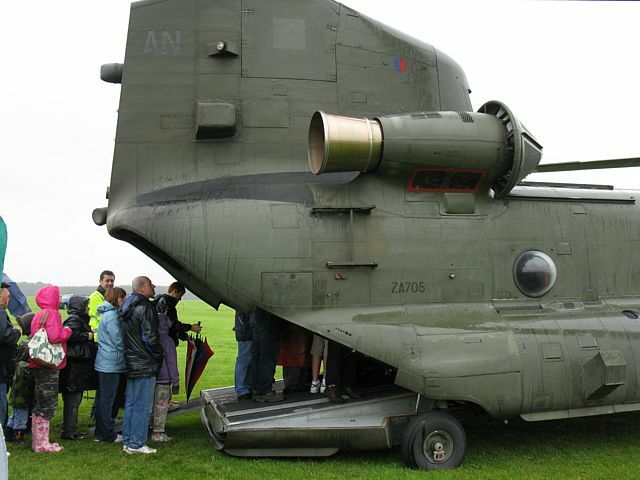 Thankfully not wet enough to break it though! 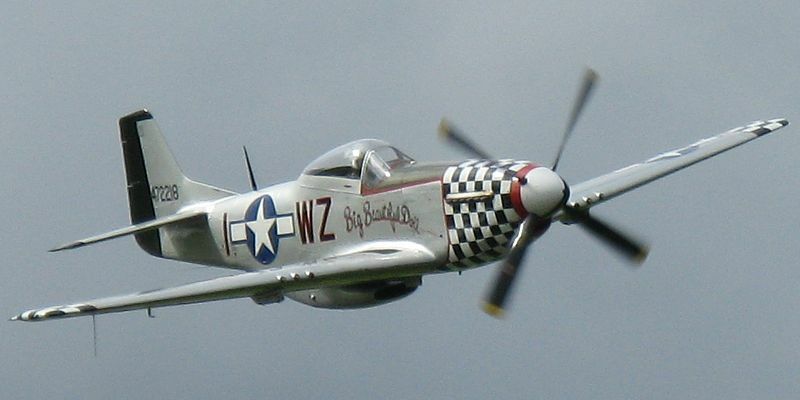 Was about to escape around 3pm'ish but then the sun came out as the biggest gap of the day arrived allowing the Mustang to perform. 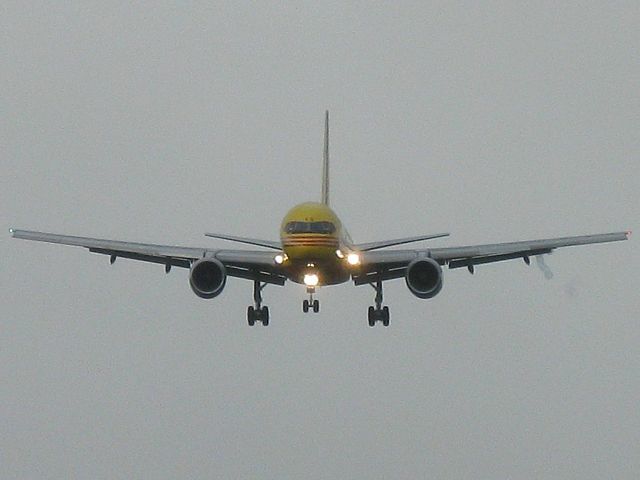 So I stayed on and ended up in the 757 too. VIDEOS: Four videos have also been uploaded to YouTube. Scroll down to the bottom for the video links. 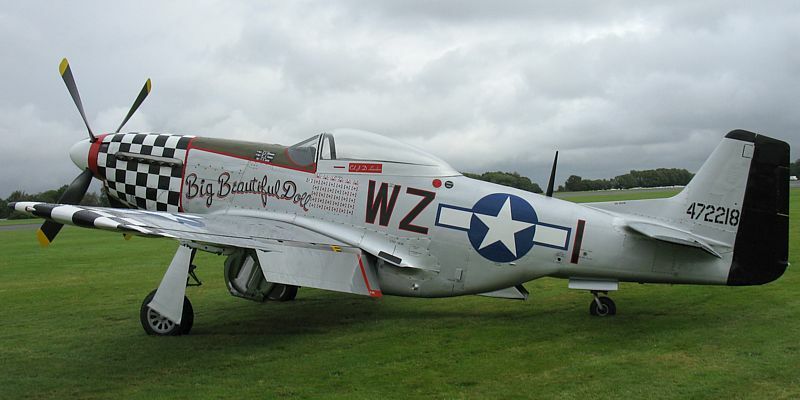 P51 Mustang parked up. 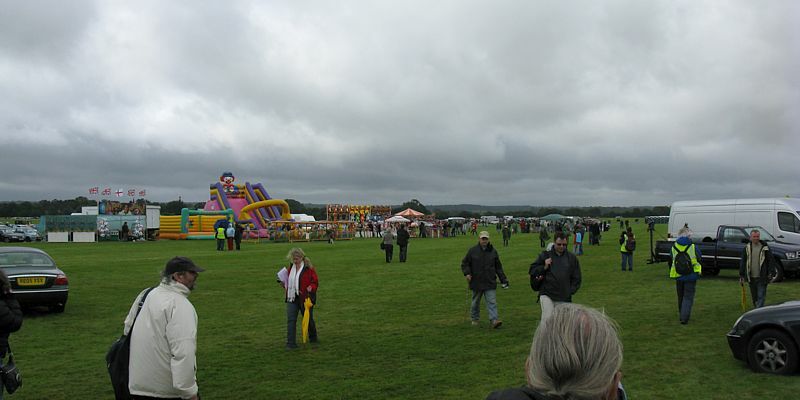 Looking across the centre triangle as people arrived. 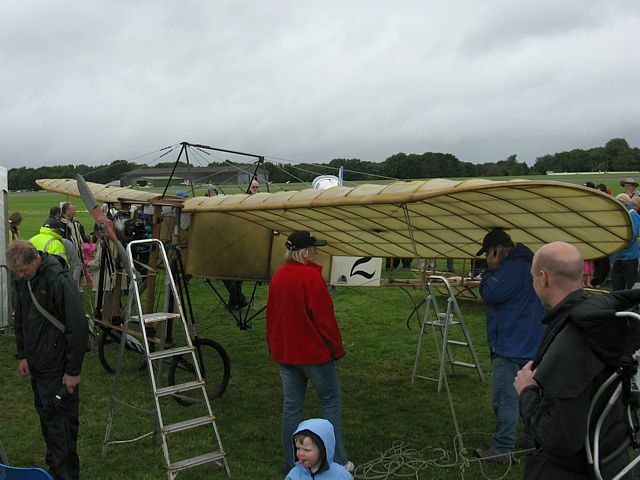 Bleriot Xi replica. 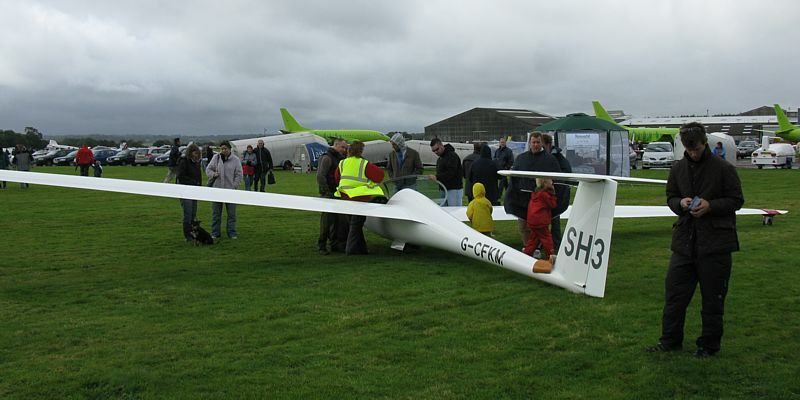 Lots of people showing an interest in SH3, one of the club Discus's. 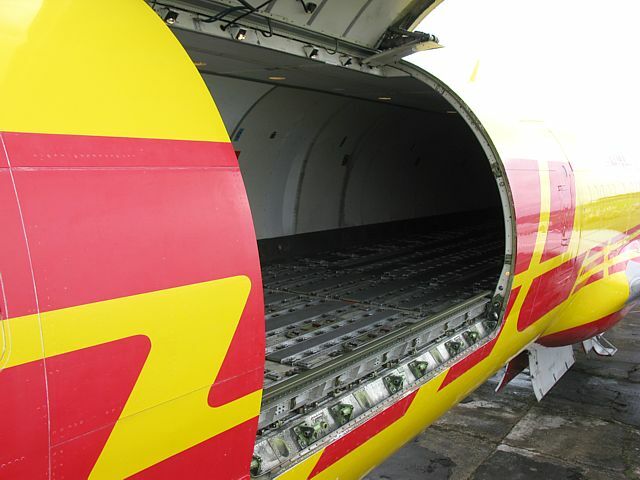 The DHL 757 freighter arriving. 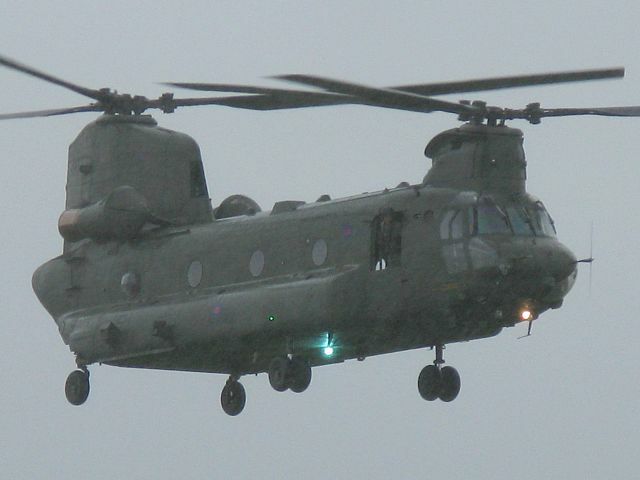 The Chinook arriving in heavy rain. 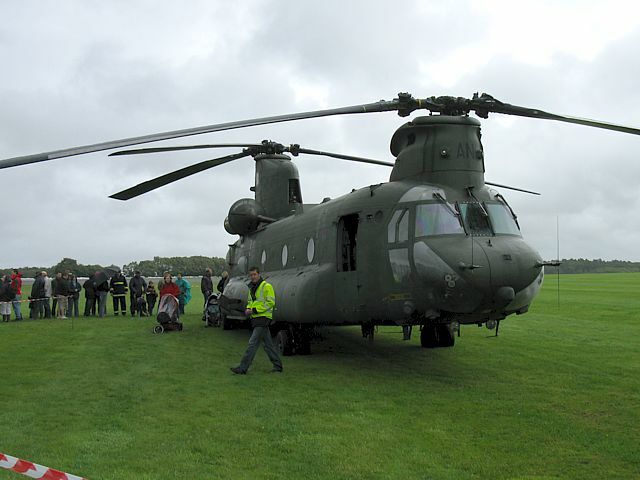 The Chinook arriving. 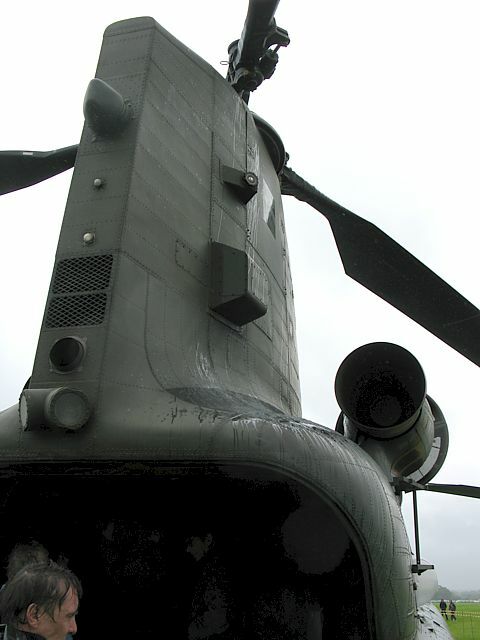 Getting up close and personal with the Chinook. 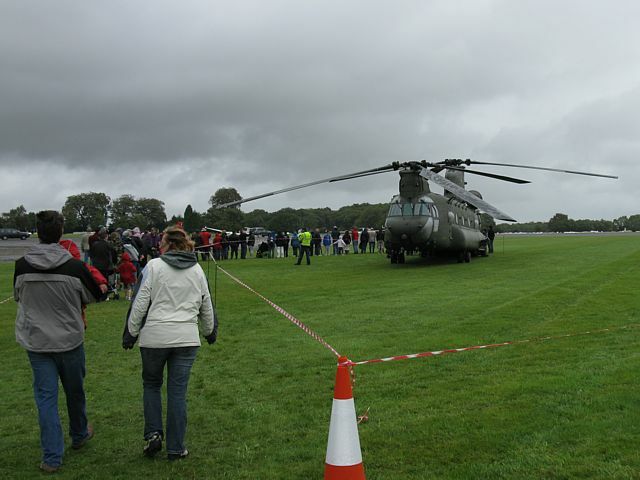 The queue to see the Chinook grew rapidly after I got there. 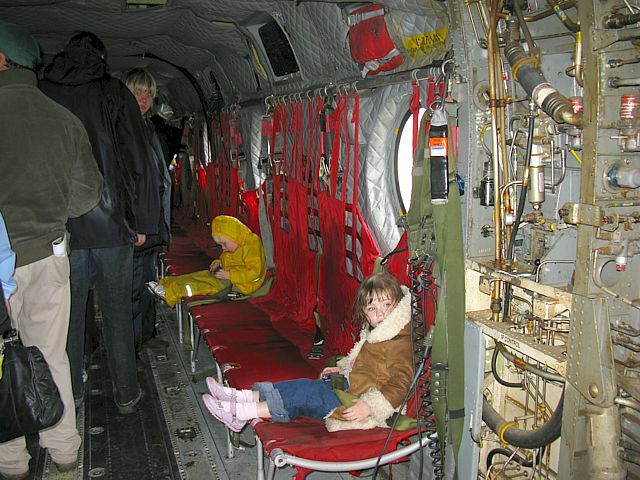 Looking inside the main cabin of the Chinook. 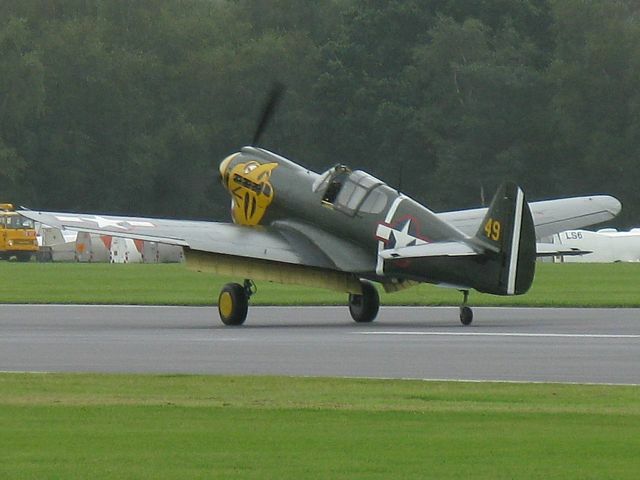 Views of a P40 Kittyhawk from inside a Chinook window. 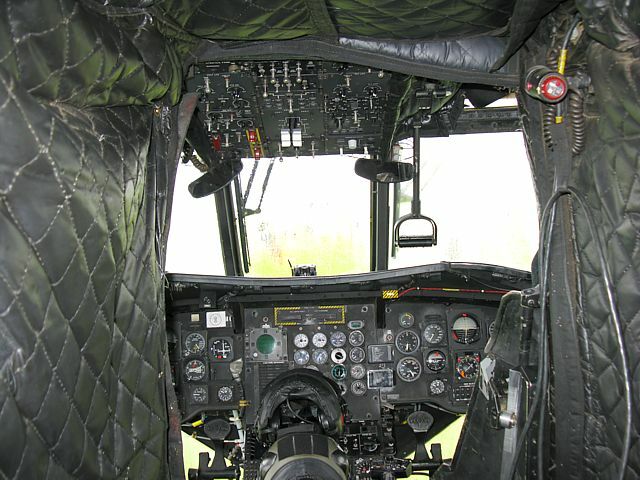 Chinook cockpit. 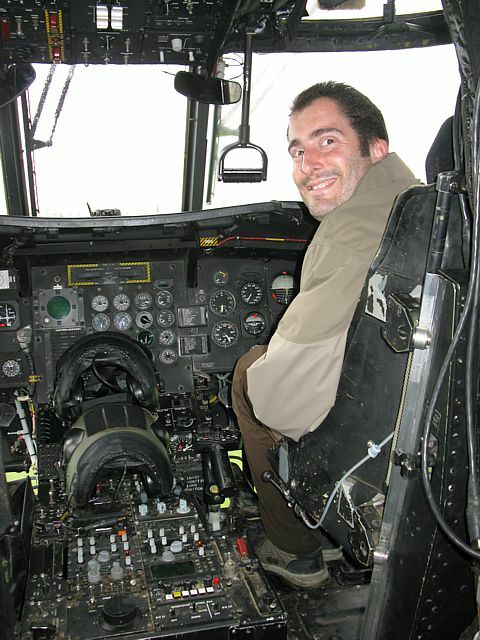 Me sitting in the Chinook cockpit. 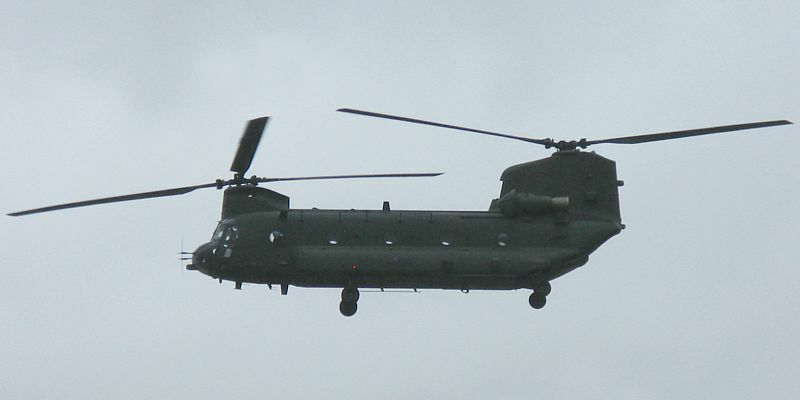 More views of the Chinook from outside. 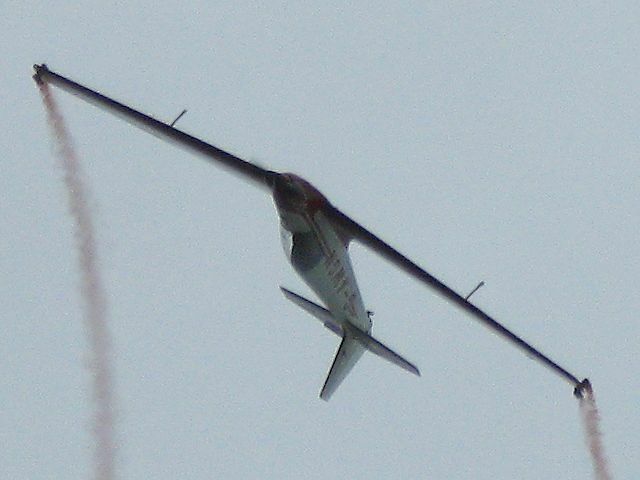 GP gliders proceeding from display to grid. 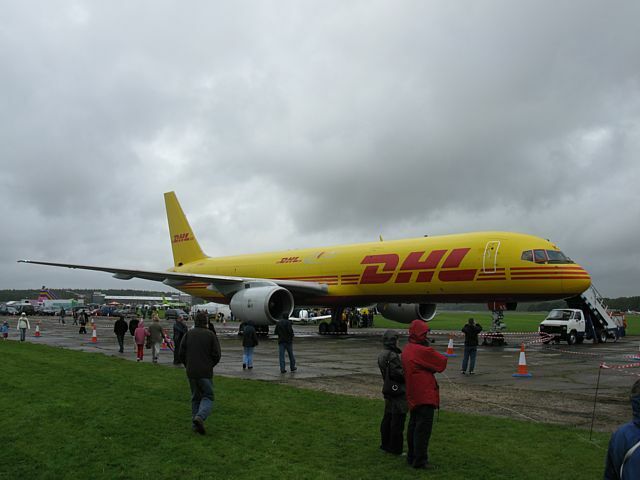 The 757 parked up in its display position. 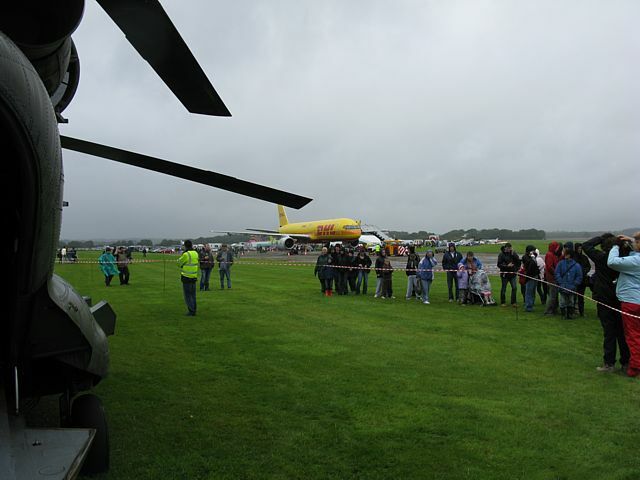 Tugs proceeding from display to grid. 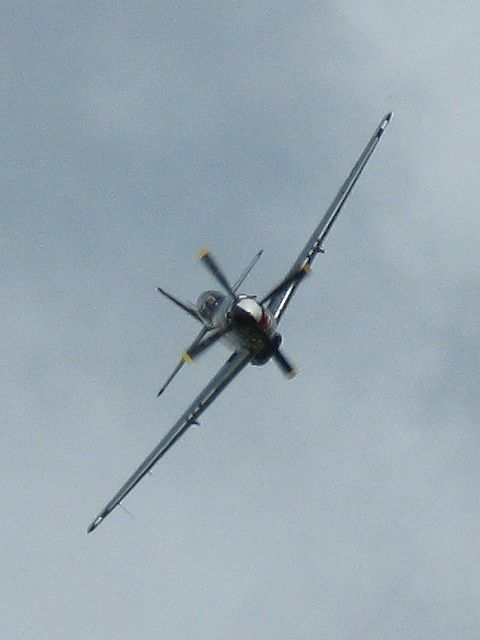 Primary on display and being 'flown'. 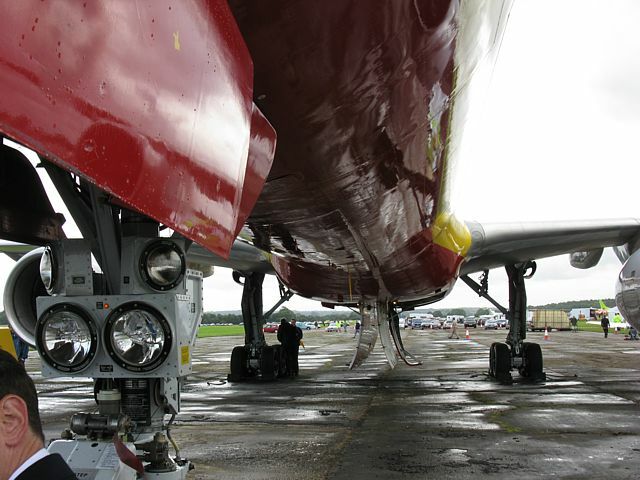 Two 1/3 scale models of London GC K21's with jet engines fitted! 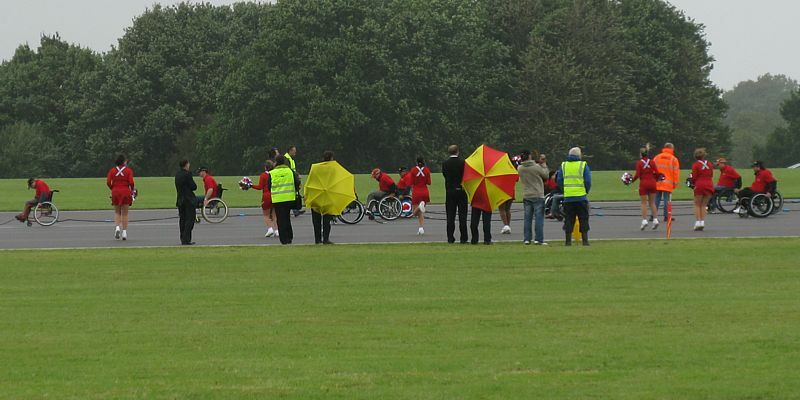 The cheerleaders who will cheer the wheelchair pullers along. 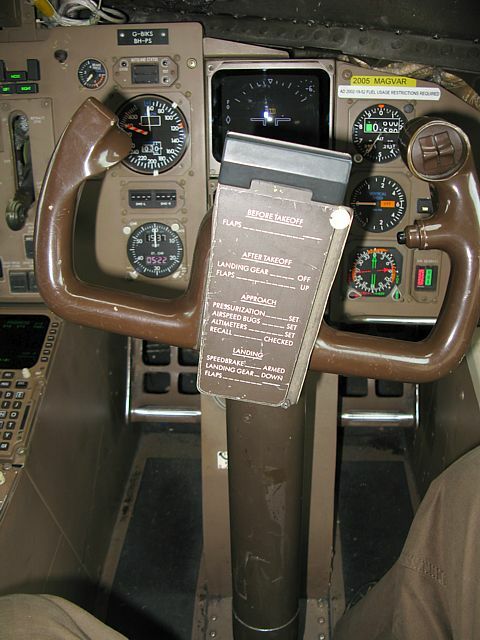 Preparing to pull the 757. 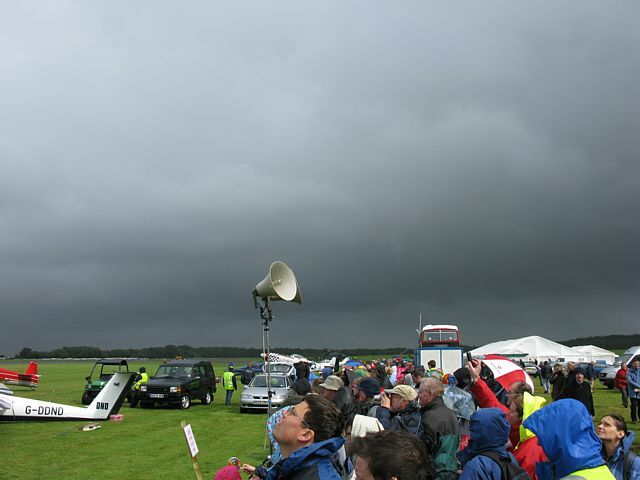 Dark clouds and rain were never far away. 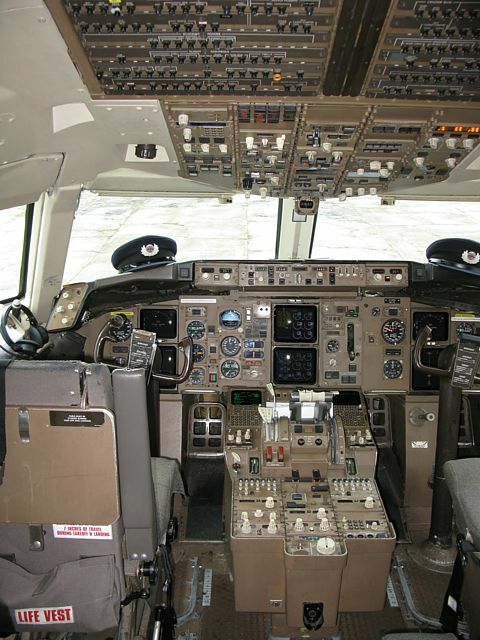 The 757 has to be pulled 100 meters from the cone to the far right to the cone to the far left. 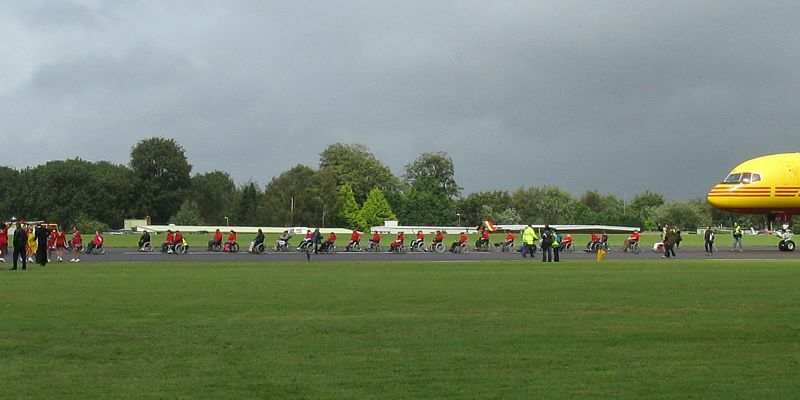 The wheelchair pullers and cheerleaders in action. 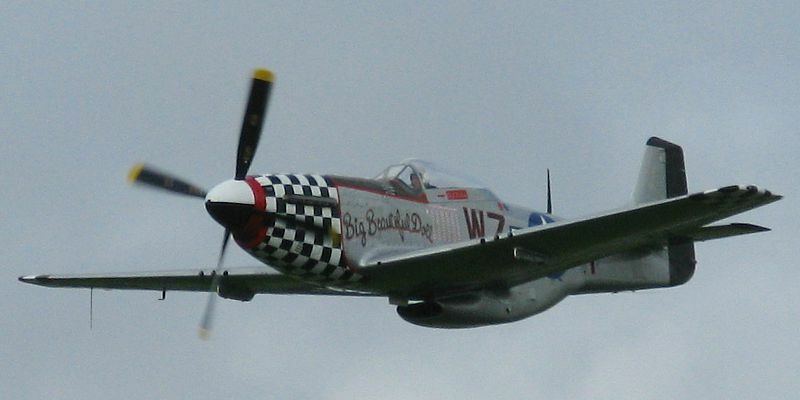 The P51 Mustang displaying during a welcome break in the weather. 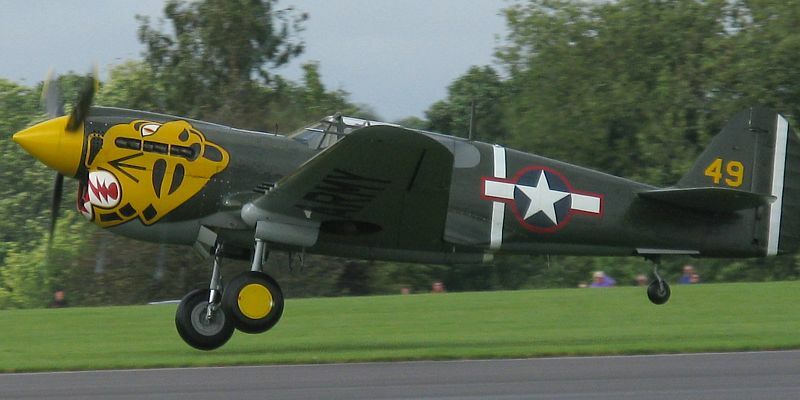 The P40 Kittyhawk departing. 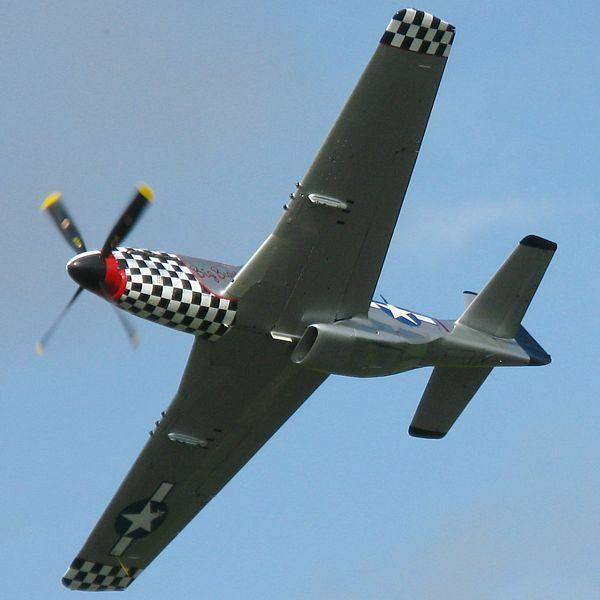 More shots of the P51 Mustang. 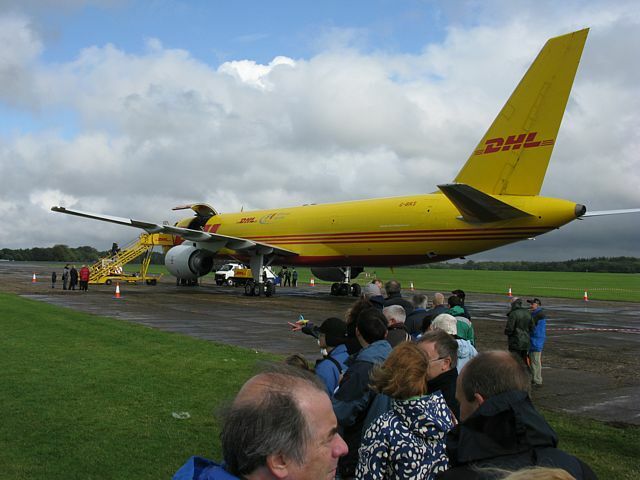 Queueing for a tour of the 757. 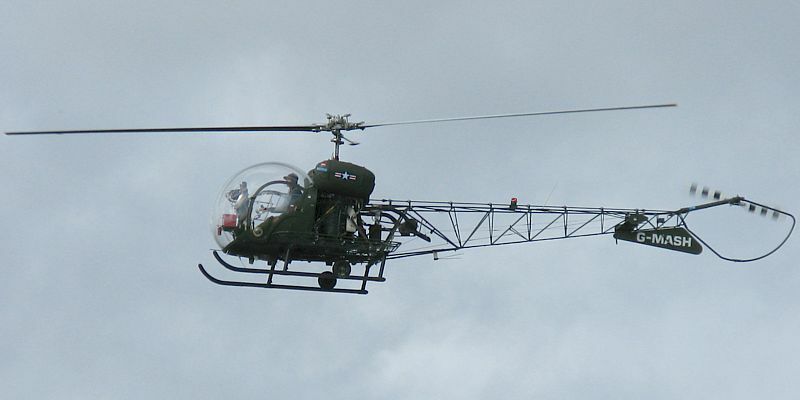 A Bell 47 helicopter performing an aerial display. 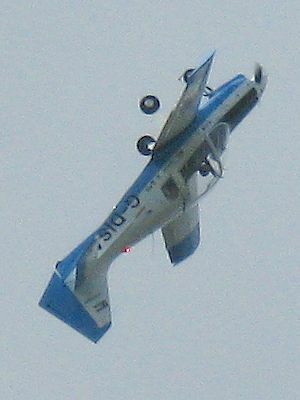 The BDFA's Bulldog performing serobatics. 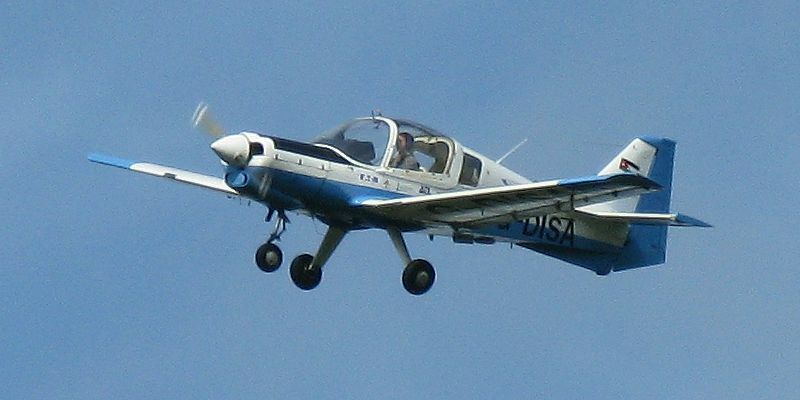 The BDFA's Bulldog performing serobatics. 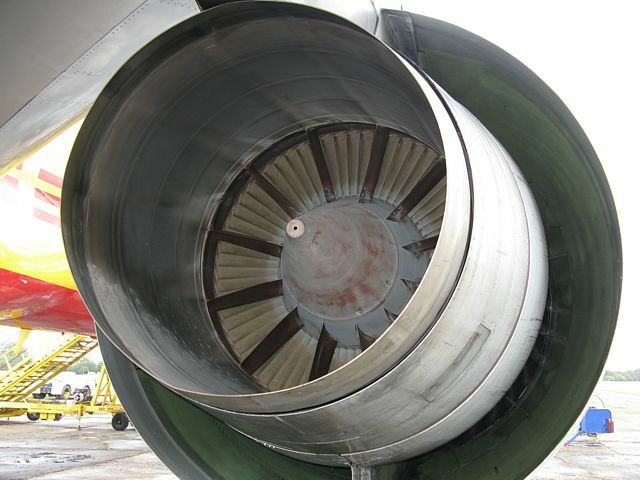 Unusual views of a 757 that joe public doesn't normally see. 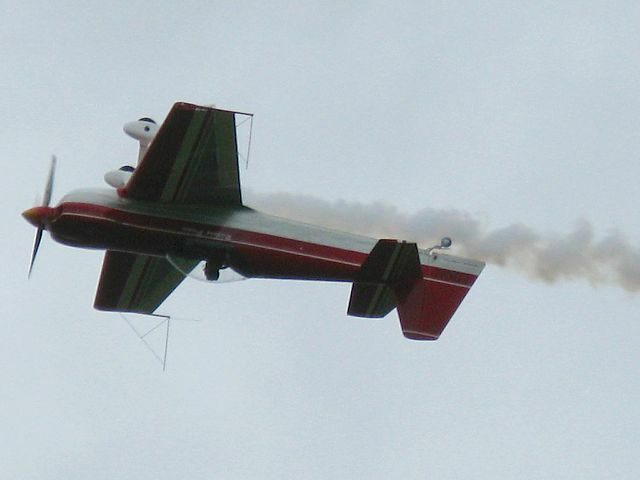 Aerobatic display by an RF4 plane with smoke guns on its wingtips. 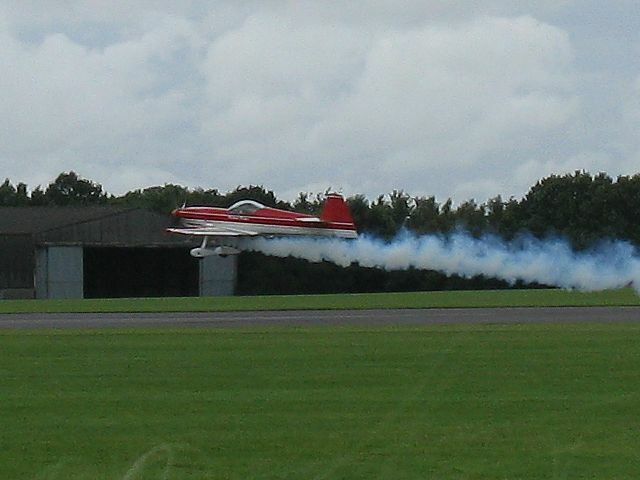 Aerobatic display by an RF4 plane with smoke guns on its wingtips. 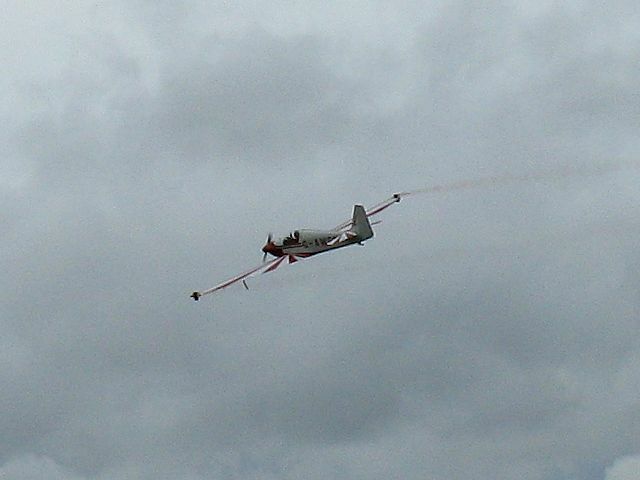 CAP 232 with a smoke gun taking off. 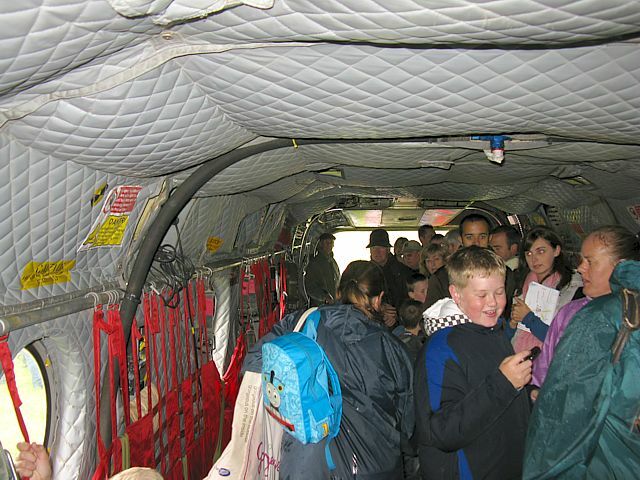 Looking at the crowdline from the steps into the 757 cabin. 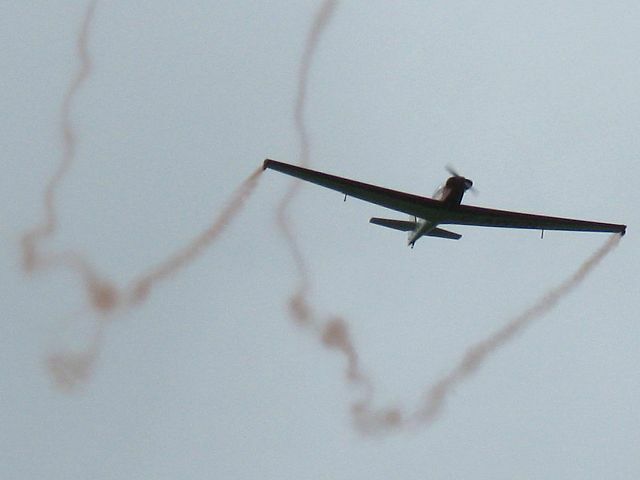 CAP 232 with a smoke gun performing. 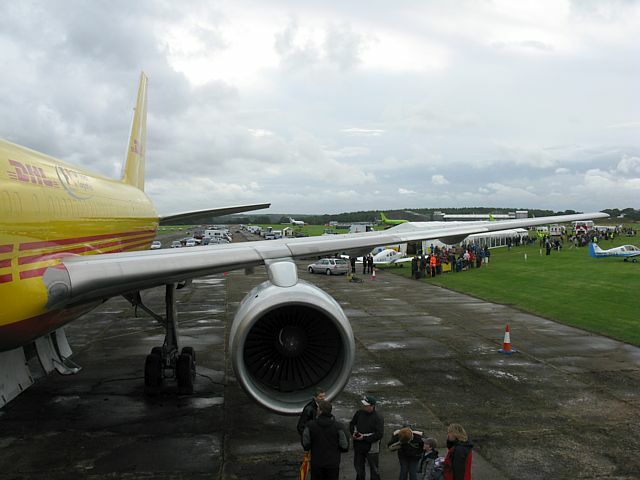 Looking at the crowdline from the steps into the 757 cabin. 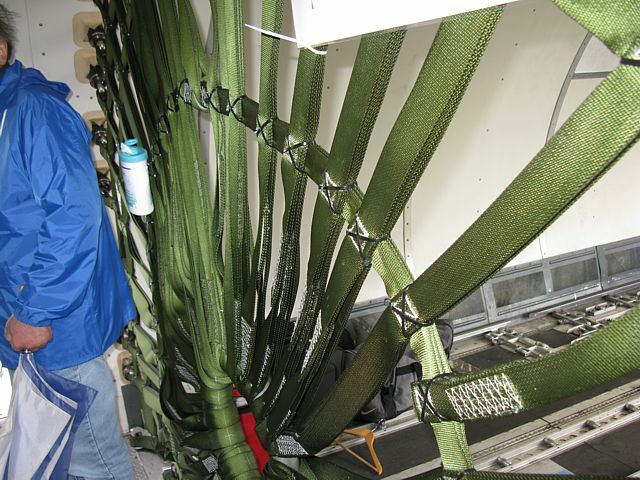 A closer look at the medium runway. 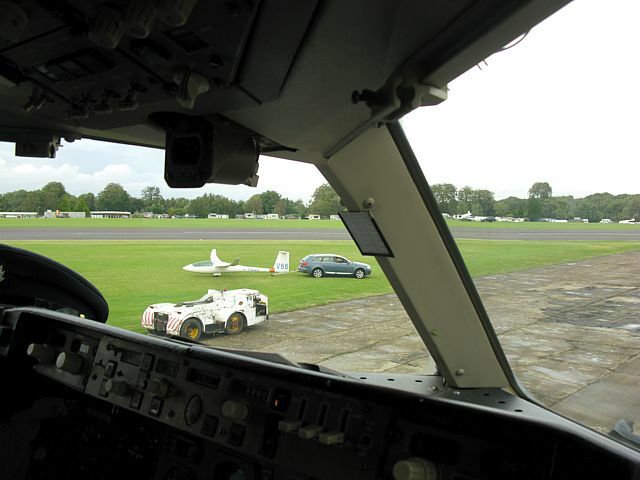 Lasham's never seen anything like it before. 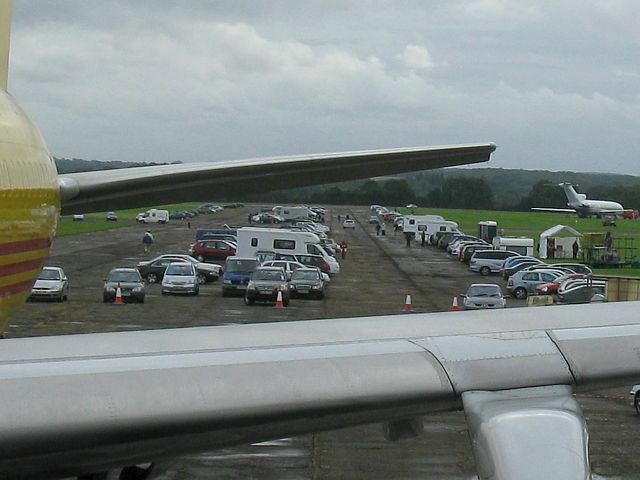 More cars parked on the short runway too. 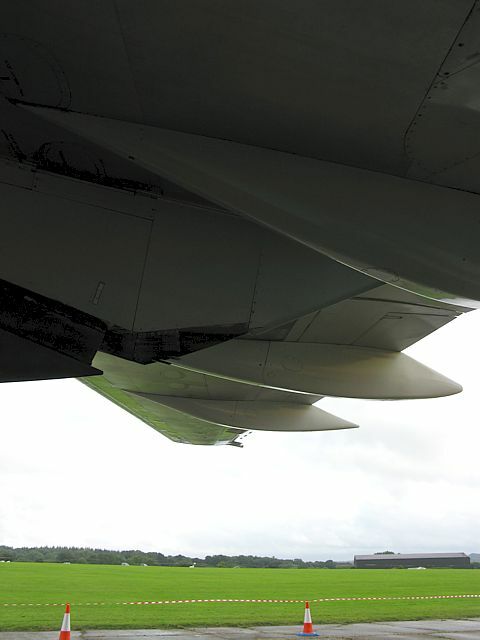 Views into the 757. 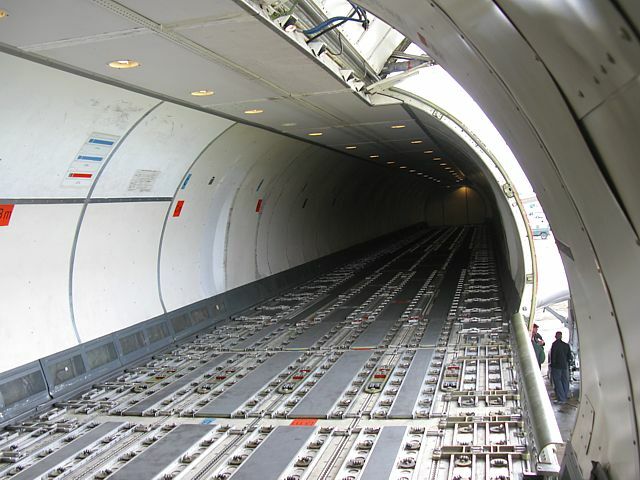 No seats or windows here as freight doesn't need them. 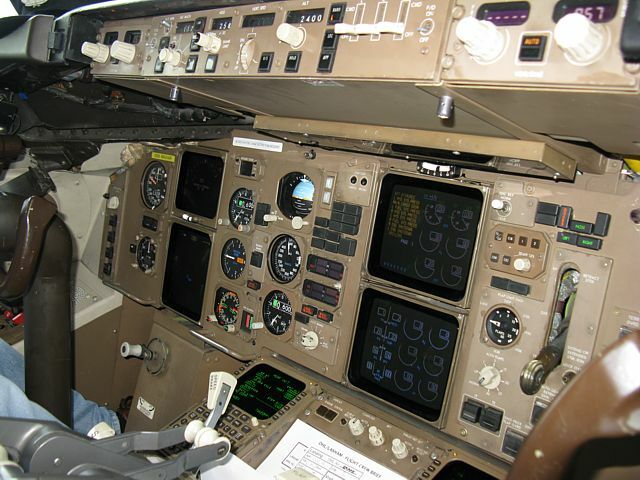 Looking inside the 757 cockpit and sitting in the co-pilot's seat. 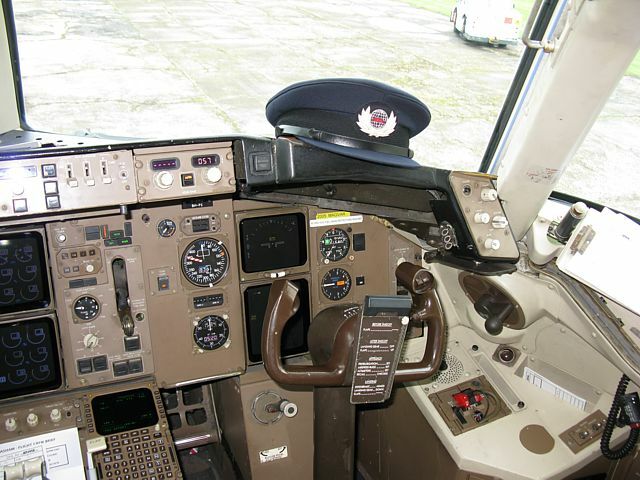 An unusual view of Lasham from the 757 cockpit. Clubhouse far left in the background. 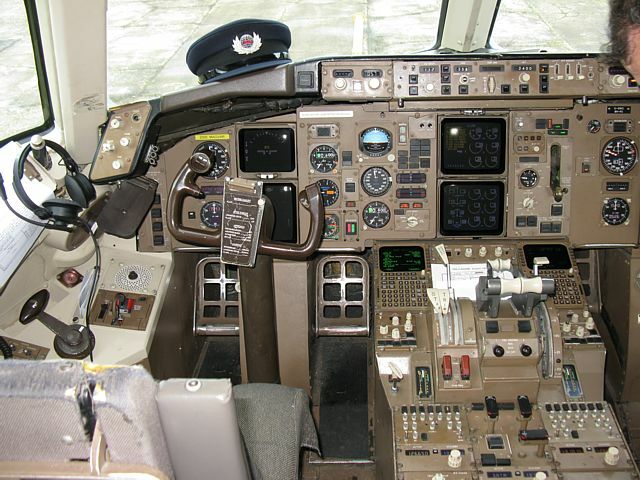 Looking inside the 757 cockpit and sitting in the co-pilot's seat. 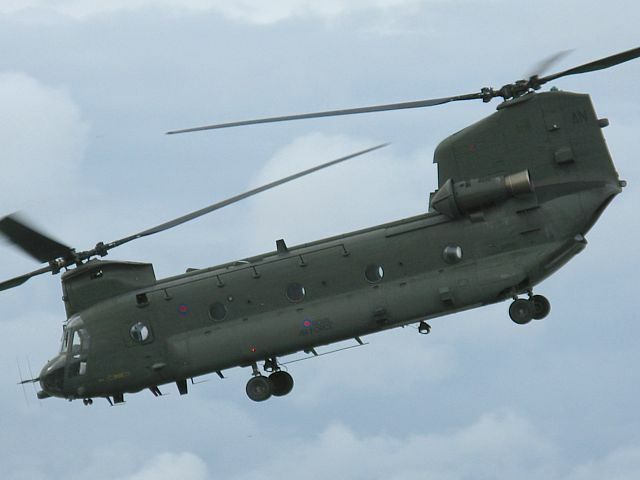 The chinook departing. These four videos have been uploaded to YouTube. Click on the links to view. Hmm I note that once on YouTube the video and audio quality is poorer but atleast they are much more easily shared. Use the browser's back button to return here when you are done with a video. 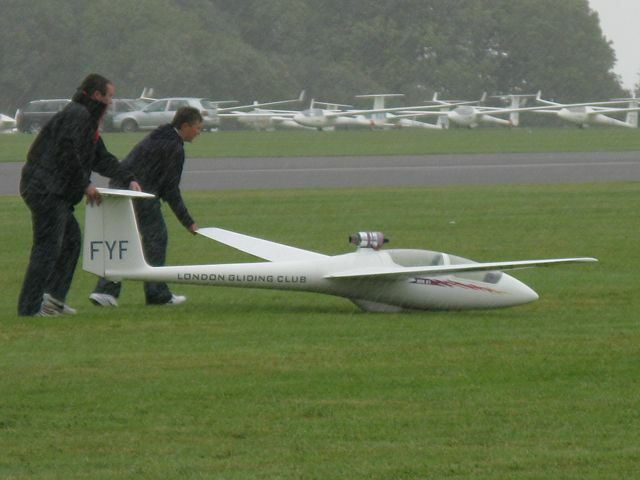 UK Sailplane Grand Prix 2008 official website. 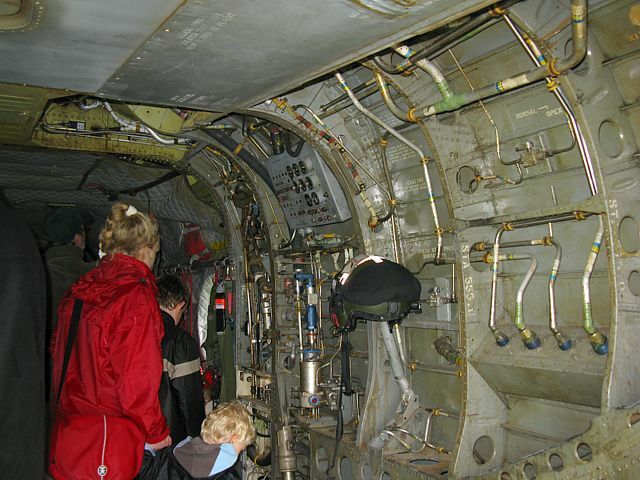 Go to Gallery -> Public Day 6th September to see my pictures on this site.